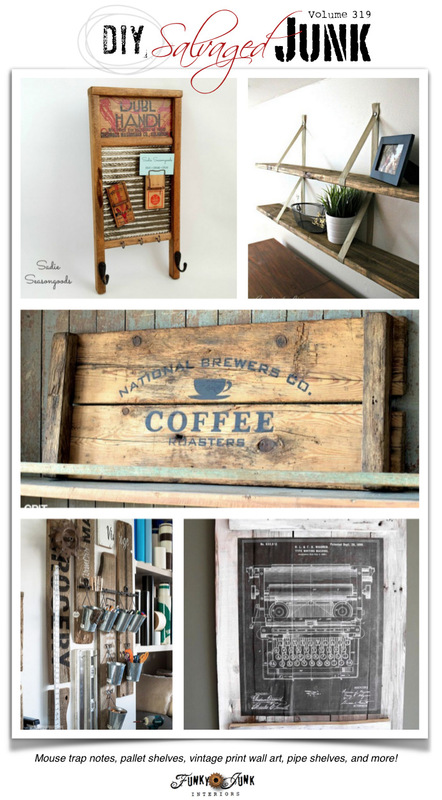 PJ 319 – the BEST salvaged junk projects and survey… do you read these posts? Happy junk weekend, friends! Welcome back, and thanks for your visit, or popping in to link up your junky best this weekend! This is the place where I generally throw a little update on myself from the past week. Instead, I’d like to ask you a question. I realize if you don’t care to read these posts, you may never see this question. But I hope by the title, you will tune in regardless, and offer up your 2 cents. Whether you are a linker upper, or just a reader, or both, do you continue to find value in these weekend link party styled posts? In what way? Would you rather see a personal post by me on the weekends, or enjoy seeing what others around the net create for a change? Is a weekly party link party too much? Would once a month be better? Leave it as is? Or none at all? You won’t hurt me. 🙂 Please tell me like it is. Things and needs change over time, so every year I like asking your input on this one. Please don’t hold back… lemme know how you feel about this one. These posts are a lot of work to put together, and I wish to use my time wisely to give the majority of my readers what they’re after. Thanks for chiming in on why YOU are here today! I’m listening. I may do a survey on all posting on Funky Junk as well at some point, but I’d love to hear how important this one is for the partiers, as typically, the partiers don’t chime into the overall survey. I’ve always felt that a reproduction looks more realistic if authentic materials are used. And such is the case with this gorgeous tray made with my stencils. Doesn’t this look like it was freshly ripped off a coffee crate?! All details including the stencil details are in the link above. The last time I thought of a mousetrap was back at the farm growing up. Sarah’s use of them for this magnetic memo board brought back some pretty cool memories! But I much prefer this kinda memory moving forward… 🙂 So creative! 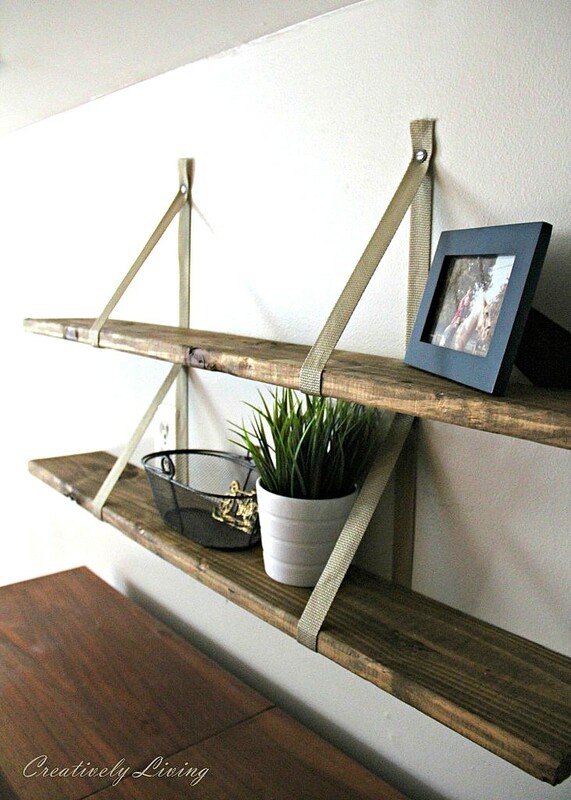 I simply adore how these rustic shelves made from pallet wood are supported. It’s the details that count! 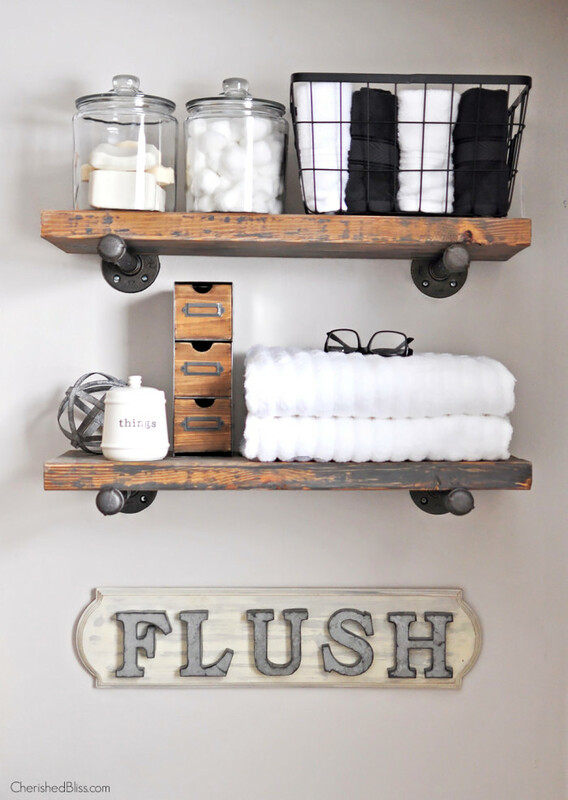 This entire wall shelf vignette has great style! But I just love the metal influences through the pipe supports and the letters. Metal and wood… can there be a better combo? Art takes on a whole new level backed by pallet boards. I adore how these old prints are displayed! Imagine the possibilities with this one… anything in print can become a work of wall art! Desiring to tweak the paint studio, signs were created in a colour coordinated and arranged way for art and productivity. 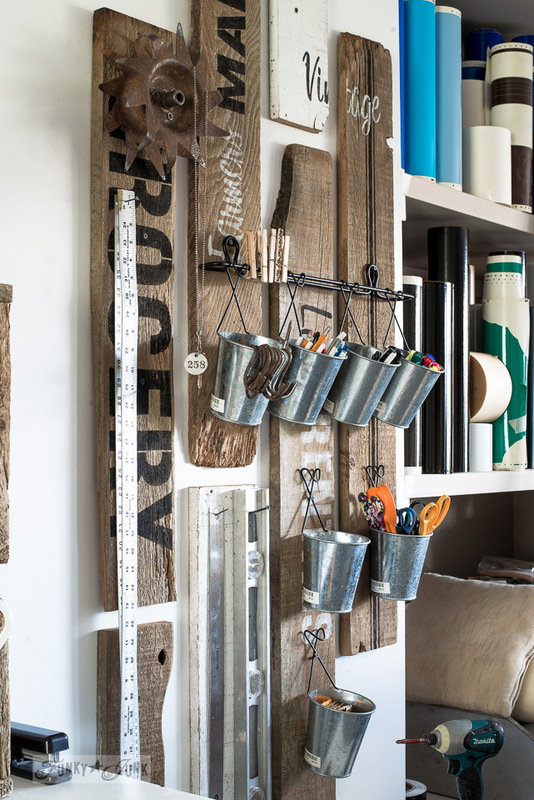 This link leads to more creative ways signs were used to store things! I’m not sure how to answer your question. I enjoy coming by and seeing the links and features but can totally understand if you feel you need to focus your time elsewhere. I only found your blog 4 months ago so I don’t feel like I would be one to ask. But I did read your question. I like that the link parties are weekly 🙂 While I do read the posts, I don’t think the update is necessary as part of the link-up. I think it could continue as-is or be broken out separately. Thank you for hosting! Hi Donna, I love the party like it is and I would miss it, if you would decide not to continue it. I come by every week to check it out, no matter if I have something to link up or not. I appreciate the work you put into these posts and enjoy seeing all the upcycled projects. Hi Donna. Thank you for hosting PJ 319. I appreciate visiting and joining in when I have a PJ suitable post. I hope you do not discontinue PJ, perhaps you could (maybe) cut back on the work you do by hosting 2x’s a month but I would miss reading/seeing what others have been working on. I hope you will continue hosting PJ, maybe on a changed schedule if necessary. Just an aside, I really miss MMS Thursday Link Party and miss the Young House Love blog but I can see WHY they made those decisions. I follow you on Instagram and Facebook and check out your ebay articles. I subscribe to your Newsletter too. You are BUSY ! Oh, and the special event venue’s you participate in too. I read all your posts with pleasure (and learn from you too). Love your STENCILS. 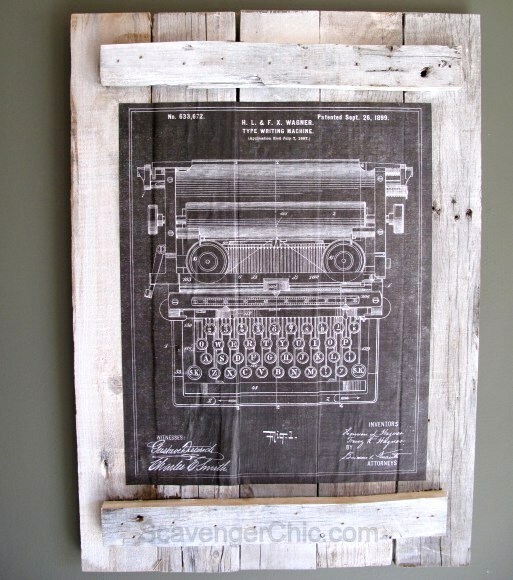 Like seeing how you are re-purposing stencilled wood lately, clever. Gotta say, you are my go-to for how to stencil, back up a blog, sign ideas, great wooden junk changed into something usable ideas and lots more. I so look forward to Friday night and check it several times on the weekend to see what has been added. Thanks! Thank you for hosting the party. I always stop by to see what’s being linked up whether I participate in the party or not. I would miss checking out the awesome ideas shared here if the party went away! I love being inspired by fellow junk lover’s projects. I always check out the party even if I have nothing to link up. I understand though that it is a lot of work so perhaps you could see about making it easier on your somehow. I know I have toyed with having my own blog party only monthly but I didn’t want to let down those who enjoy linking up. Of course having other co-hosts help to lighten the load and share the tasks involved makes it easier for me. I personally love your party because of the content you feature, it’s awesome. I love your style and all your projects too Donna. It is fun for me to read the update, I don’t get to visit as many blogs as I would like during the week, life is busy. So when I get to a chance to link up (which isn’t always every week) I enjoy seeing what you have been doing, but I can also do that buy looking at your recent posts too. So either way works. I totally understand your time, I think all of us do, so do what is best for you. Not sure if that was helpful but that is my two cents. 🙂 Hugs! Donna I look forward to coming to this party every weekend. I love its unique perspective and the food-free atmosphere. I get lots and lots of ideas here and of course enjoy sharing mine. 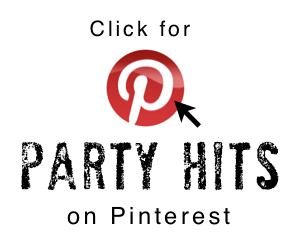 Yes there are other vintage-inspired parties out there but your party has more rustic goodness then all of them. I visit you during the week so I get all of your projects then as I do in the newsletter and I follow you on FB. So if it would be easier for you not to write a lot then you can do it this way for the party. Thanks for hearing us out. I will be honest, even though it makes me look lame: I like having parties to link to because I occasionally get traffic from them. Even though I have been blogging a long time, I don’t have very many readers. I can post something to a linky party and maybe get one or two new subscribers or at least someone who will pop over and read more than one post. I also like to check out other folks’ projects and I have found a few friends that way (we have similar styles/tastes, etc.). I am not a blogger who gets invited to do parties (probably because in reality I am a writer–I teach it–and not a photographer) or hops or anything. So yes, I will promote myself and visit others via a linky party because at the end of the day, that’s all I have for promotion! But I understand that I am in the minority. Thank you Donna for your interest in our thoughts on the weekly party. If time is an issue, then I think the idea of doing it 2X a month is good. I do enjoy viewing the party every week, but realize you are very busy with other endeavors. Your style and those that are featured are singularly unique and to see others which are similar in a concise grouping is wonderful. Any decision you come up with is fine by me. I’ll take funky junk interiors and your personal and open style of decorating any time you are able to offer. I think that’s why your blog is endearing and inspiring both from a stylistic and honest life view. Your way of doing things is open and this is me. The link-ups then lead to others in a similar vein. Thank you for all the time you have currently put into it. As a reader, I am twixed and between on the weekend party. I usually do read it as a follower of your blog, Donna. However,I have already viewed your last post earlier in the week and it is a repeat on the weekend party, but it is also fun to see the other link ups that are new and fresh. Therefore, I would love to see a new post from you and I also enjoy seeing the link ups. I realize it takes a lot of time and energy, not only on new posts, but putting together the party. I enjoy reading the blog anyway you choose. Hi Catherine! Thanks for your insight! The link parties are actually recaps from everyone’s latest and greatest from the past week. I include my own as well for new viewers. If I added a new one of my own to the weekend link party features, I’d have to make a post on its own previous to the link party anyway, therefore showing a repeat to regular viewers. Now, if you mean, I create a new project FOR the link party, that is different of course! But if I put the new project on the link party post, I wouldn’t have room to feature others. Which has been up until now the entire point of these weekend features… to showcase others. Any additional thoughts on this? I appreciate your input! I love your blog. I get alot. Of great ideas for projects from you. I think you should do your posting when, you feel like it. It has to be alot of work to put it all together and time consuming so if its better for you to do it once a month or every two weeks, etc. then thats what you should do. I will enjoy it however, and whenever you post. I’m for whatever you want!!! Good luck. I just joined your blog about 3 weeks ago.. I truly enjoy these (and all of your) posts, So many have gone the way of the link your own, which is great about once a month. I know that these are a LOT of work, as well as the rest of your posts, which is why I enjoy/cherish them as much as I do. Keep up the good work, prayers and blessings to you. YES, I read your blog posts! PLEASE KEEP THE POSTS THE SAME! I LOVE THEM!!! I know it takes a lot of your time but I have found so many inspiring projects and have learned more through your blog posts than any other source! THANK YOU for sharing your talents with us!! You’re rocking the stencils, Donna! 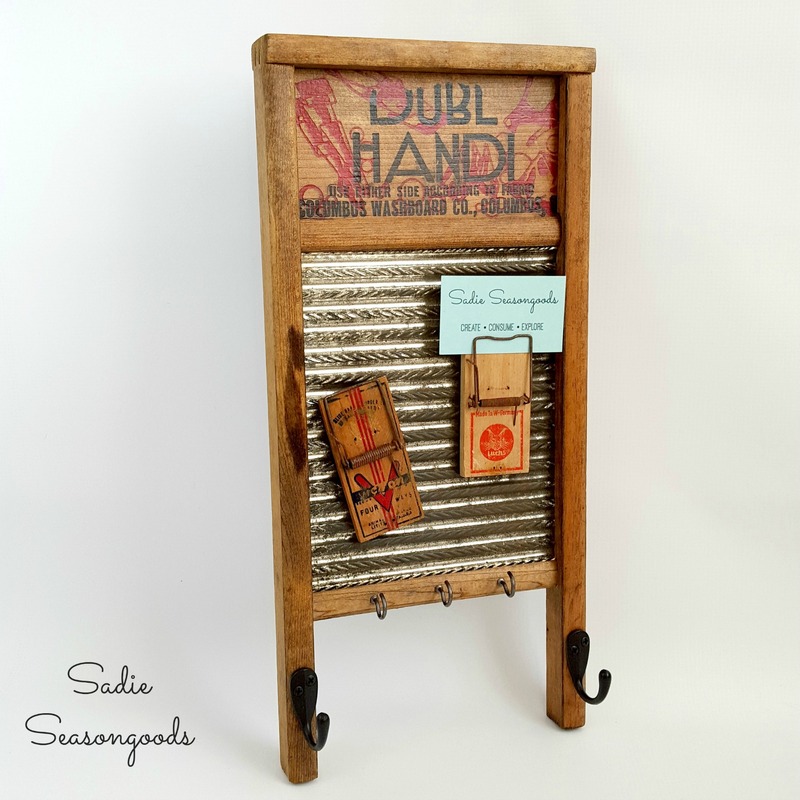 I love the mousetrap washboard by Sarah…it’s all so good. Thanks for hosting! I know how hard all this stuff is to keep up with. I really do like stopping by and checking out this feature though. I follow too many blogs to read all of your posts, but do check out the Party most weeks. I think everyone would certainly understand if you scaled back to twice monthly or so. 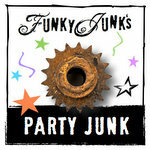 Just to let you know- Funky Junk was one of the first blogs I followed, and is still one of my favorites. Great work! I am not a fan on the “link parties” offered on many sites. In my opinion, I chose to follow your blog and receive emails from you because I like your work and your style. I would much rather see a personal note from you over skimming through someone else’s work, no matter how appealing others may find it. Just saying. I know this may mean more time and work for you, but if it makes your readers happy it’s a plus for all, and a great opportunity for you to pursue your writing skills. Keep up the good work. You are unique. Thanks for your input Bob! I’m going to also do a survey of sorts on a non party post to check out the feedback in that way as well. I enjoy seeing what other people have created in addition to yours. Once a month would be fine with me, as I don’t have time to look through the posts that often. I do love your style! I come by every week to check out the projects. I would definitely miss it if you stop! change it to once a month and add more of what you are doing or what is going on in your area. I love your bike rides, photos, and your story along the way but also love how you organize, create and accomplish cool junk! You know I always enjoy your party, but I know how much work it can be. 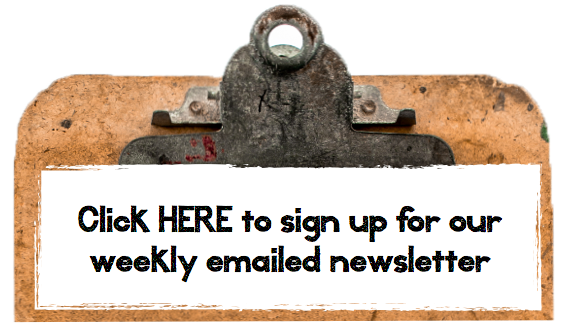 Love your features and recaps of what you’ve been up to during the week! Donna, I am so impressed with what you have done in your life, and how you have grown this business! I know it’s your faith that keeps you going (me too!) but you have worked hard…as “unto the Lord.” I love this site! I love seeing others’ ideas and work also. I’m afraid I’m not much help as far as what to change, but I would love to see you keep doing this. I have gotten some great ideas from all of your contributors so it has been a real treat to follow you for a few years. When I stop by to visit the party I don’t usually read the stuff before all the links, to be honest I’m just here to see what cool projects people have come up with. Sometimes I link up, sometimes I just like to look. As far as party frequency, I think once a week is too much (especially if it’s a lot of work for you!) There are SO MANY linky parties now days that I can’t possibly get to them all… because it seems almost all of them do it weekly. I think monthly is plenty… or even bi-weekly. 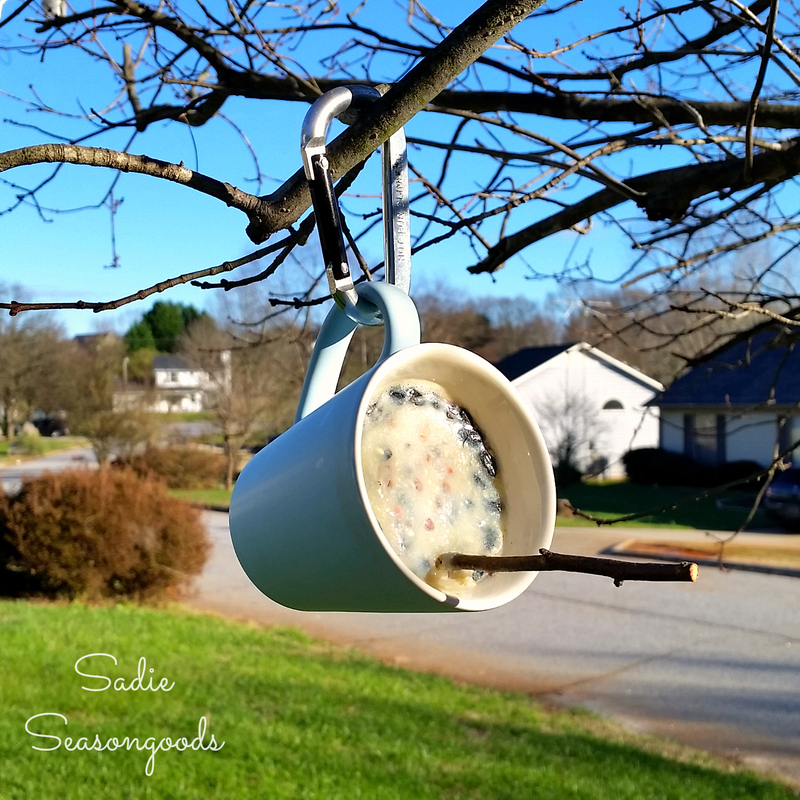 I’m not a blogger….rarely commenter…I’m a looker…and a wannabe..and I always enjoy seeing the creative efforts of others through the link party. But, like many have said….totally understand the time you put into it and would understand if you need to pull back. I LOVE the weekend link up — it is my way to start a Saturday morning, and I check in again on Sunday to see what has been added. I look forward to it all week long (hmmm…. maybe I need to get a life?) but after working and hustling and bustling through the week, it feeds my creative spirit to see what cool things other people are doing! Keep it up please!!! 🙂 Thanks. Iread many of your posts. (As many as I can with a 5 and 6 year old in the house.) I enjoy the parties, but have never linked to one. I do enjoy your blog! I think it would be worth it to you to go to two times a month. I can only imagine your schedule! GEEZ! Otherwise, ain’t broke, don’t fix it. Hope this helps. I do read your posts and I enjoy the weekend sharing…I like to see what other creative people are up to, and I especially like the vibe and style of your site. I have always liked advertising signs and I hung a deer skull in my bathroom over 20 years ago (to my childrens’ consternation and my husband’s confusion…hah hah). My grandmother’s washboard and 2 others were hanging in my laundry room as decorations years and years ago. My late husband’s grandfathers green enamel industrial light fixture replaced an absolutely hidious wagon wheel light fixture in the living room of our first house, over 37 years ago. Sounds like I anticipated the rustic, industrial look, huh? 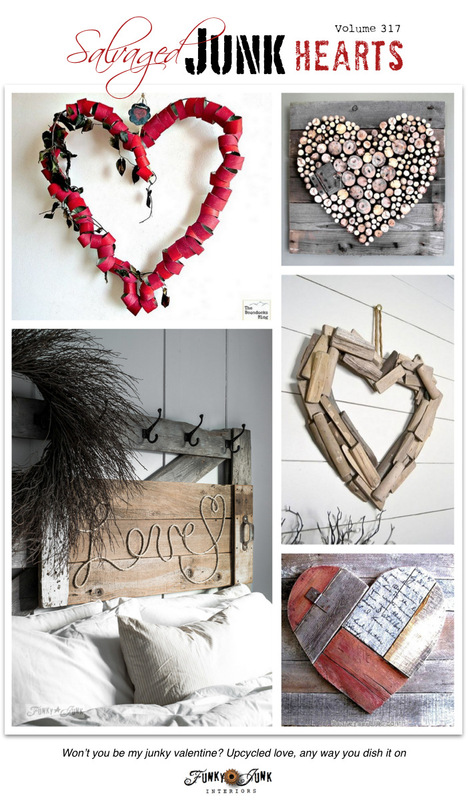 I like what I like and will hang it up or think of a repurpose for items. Cut glass sugar bowls hold my jewelery when I take them off when I get home. Tiered serving trays hold more jewelery or items on my desk. I could/should have my own blog and I need to get on line and sell the things that I find, buy and collect that make my house look like an interesting/cleaner version of Hoarders. The internet has given creative, artistic people an outlet for their ideas and passions. I teach and would leave my profession in a heartbeat to embrace the creative lifestyle. Thanks for asking and in my opinion, keep doing what you are doing. Hi Donna! I always look forward to coming to share my upcycled projects here, and would be sad to see if go. With that being said, I understand the commitment to hosting a party, and as a party goer, I would still be very happy with a monthly party. Sometimes, I don’t always have projects to link up every week, but I know I would always have some to share every month. Thanks, as always, for hosting! 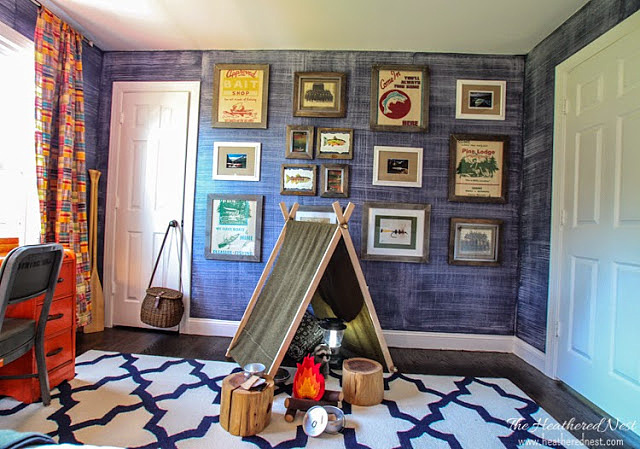 I love seeing other peoples projects in your Link Parties and have gone to their sites to see what further they have designed, repurposed, and created. I usually skip the linky parties when they first come out. I sometimes find them overwhelming. If I am looking for a certain idea I will come back and thoroughly go through the links. I feel that sometimes bloggers link ideas they know are not good because they are trying to be nice to other bloggers. I love the blogs I follow and I would like them to not show stuff that is sub par. Thanks for asking us and thanks for your blog! I know it can be a lot of work putting the parties together; please know how much I appreciate it! I wish i ahd all weekend to party with each of your linkers. I love the weekend party but don’t get to visit as often as I would like, or spend as much time. I would be OK with twice a month if that made it easier for you. I love what you share, what your readers and craft friends share. I see things differently after I have visited. more color and creativity! If you would not do a new party each week I would have left overs to satisfy me until the next party. Just do not give them up, please! Hi Donna! 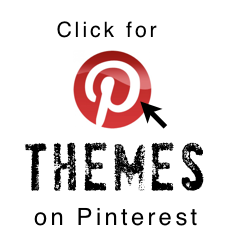 I don’t always have something to add to the link up, but I always come by and take a look at all the other great ideas! It also gives me a chance to see what you have been up to during the week. Sometimes the weekends are the only chance I get to really read and look at blogs. Thanks for all the great ideas you share! I love your once-a-week junk parties! I love all the talent displayed. It’s very inspiring! I’ve also been inspired and encouraged by your organizing posts. Thank you! well…………..I look, I learn & I drool! so does that qualify for enjoying your posts??? 😀 cuz I do! I enjoy the link parties & it is the only one that I have taken part in. I don’t always have something, but I always enjoy seeing several ideas together. I love that bloggers come together supporting each other. This week I smiled at the “flush” sign and wondered if you have any ideas for bathroom stencils? We just finished renovating our master bath & I want to create a cool sign. Well, i am a little new,but i always drop by and look to see what you have and if it is something i am very interested in i leave you a comment but it is up to you because i won’t quit. Have a great day Donna. Donna, I’m a blogger, but I have never felt quite right about joining a link party. I know that it’s another opportunity to get myself out there but, somehow it seems like stealing the spotlight. You have established yourself very well in the blog world and have products to sell. You also have a son and a life to lead. Link parties are like welfare. For the joiners, we get something for nothing. For the host, you get worked to death. You’ve already worked yourself into your position (paid your dues). It’s nice that you may want to help others, but are you going to suffer because of it? Give yourself a break. I know this won’t be received well, but you should just focus on Donna’s stuff! If you want to do something… have an event of some kind once in awhile. I’ll quit now… just take care of yourself. I love your website and postings (and musings). As a person who is artistically challenged, I love to see what others are doing to get inspired (or to, ahem, copy.) Thank you for all that you do. You asked for comments. I look forward everyday to your blog. Miss it when there is not one. Also, on the weekends where you have other bloggers join in to your link parties. If you change anything I will adjust to your changes. Love your site and keep up the good work? ? I look forward to the PJ parties every week! And I have found other blogs to follow by linking on to their sites. I read your posts whenever they are put up so I don’t think you need to recap yours for the week, but I honestly enjoy seeing what other bloggers have done with “junk” and getting ideas. Thanks for a great site! Hi Donna! I skip the link blog posts. I’m far more interested in your personal stories, seeing photos from your bike rides and virtually visiting places you’ve been to. As a fellow Canadian I am very impressed with how you represent us. I enjoy seeing photos of your fur babies because it shows another side of your life (not a stalker, promise!). I especially like how you keep your blog authentic by showing us your real life messes and clean ups. Keep doing what YOU enjoy and we’ll sit back and reap the rewards. i like that your party does not include recipes and crafts. if i wanted to see recipes and crafts, i’d visit those sites. i have been re purposing junk forever, i love old stuff! as you said, it’s getting harder and harder to find, but it’s always a thrill to find something i’ve been searching for! Even though I am retired, I recently cut back on the number of blogs I follow because I realized I was spending hours per day at the computer. But, I did not drop yours because I really enjoy your work and, also, your honesty. I do read your posts and follow thru to other posts that interest me. We all have to make the choices that best suit our lives and that’s what you should do also. I don’t think you will lose any readers whatever your choice as we are all here because we want to be here. I’ve been following your blog since 2011 & never miss the weekly link party.Please don’t stop it & keep up the good work! Hi Donna! I tune in for your picks only. I do like seeing what others are doing, but I don’t slog through all the linked items. Many of them are not very well done – sorry guys. But since I rarely click over to one of the featured blog posts anyway, I would not miss this link party. I LOVE these linky things. I’d much rather have this than one of your posts. No offense. It gives me a chance to go peek at other people’s sites. And the photos they post give a quick idea of what they feature. Makes it easy to pick and choose which blogs to check out. OK, maybe not EASY, but you know what I mean. I also think you must be getting some new visitors to your sites as I see your links on other peoples linky things. Also, I really like when a group of bloggers team up for a Red Robin type of link on a specific subject or challenge. ps. I read most all of your posts. Sometimes I binge read them, but I usually get to them at some point. I subscribe by email, so I get your notices which works well for me. I like the party as it is Donna and look forward to seeing what creative uses for junk have been shared each week. If I had any suggestions it would be to run the party until Monday. That way those of us who prefer to be “unplugged” over the weekend can still catch the party on Monday morning to link up. Hope you’re having a great weekend and took some time to hop on that bike! The link party has always been a favourite weekend activity for me! For me, no change is needed! I love all of your posts, no matter if they are link ups or personal posts. The variety is what makes your site vibrant and interesting. My personal favorites are the how-to posts, the posts about your yard, your cats, the ones involving your son, your bicycle rides, your personal growth…yep, I like them all. Carry on! Oh, since the link ups are time consuming maybe separate the personal from them. Really enjoy your weekly PJ links! Love the ideas and inspiration! I love visiting your link up at the weekend even when I don’t have anything to post. It’s the best place to see the latest upcycled junk projects on the web. 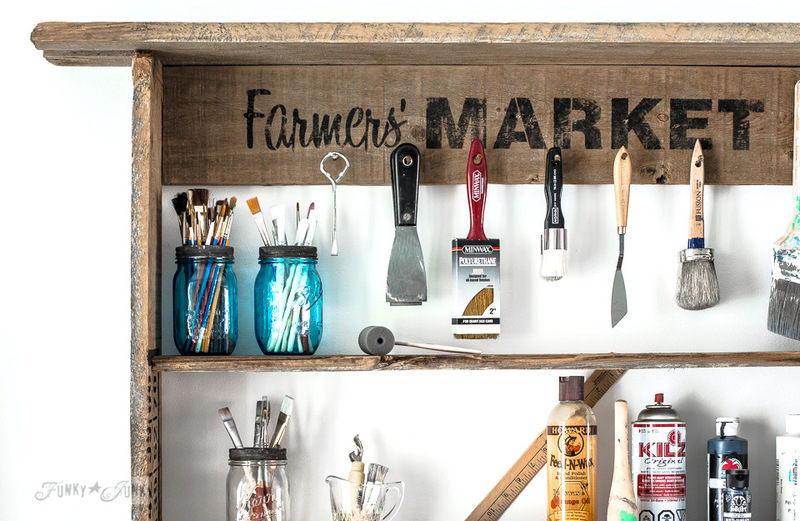 I love that it’s upcycled junk only and not cluttered with recipes and other blog posts. Please carry on with it ! I think you bring out the best in all of us! Which may be why your party is my favorite!! I love it on Saturday mornings…one of the few times I have to sit with a cup of Joe and enjoy reading blogs. I enjoy these posts with ideas & photos. And yes I read the posts once I get them to load. 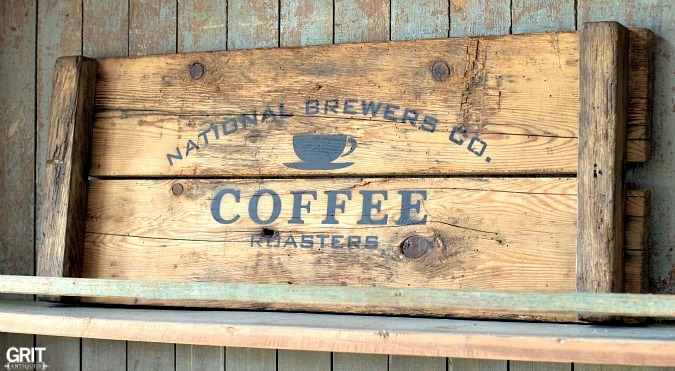 I really like this weeks washboard post & the new to old look coffee sign. Gave me insight to re-purpose my own washboard & the signage as a possible gift for my son that works in the coffee industry. I found some ideas in the linky-up too. I very much enjoy the link party each week & like yours in particular because of the recycle/upcycle/vintage aspects of it. I read almost all of your posts. I enjoy what you have to say and love to see what is new. Keep it up. Hi, I did your question, I do read when I can, I enjoy reading and gathering the different ideas and going back and looking at projects. I just do not have the time I wish did, as I am in school and closing in on the end and that takes up all of my free time and then I work when I am not in school. So i read the blogs when I can. I have been looking for some old pallet wood to make the farmers market sign. Think I might know where to look now,just have to wait until school is out. I do enjoy reading your blog though. Hi Donna, I love your work, I love the junky, rustic look. I enjoy the link party, because I see other sites that are similar to the look I like. I know you are super busy and you’ll have to decide which way you are led to go as far as your work, but I do read your messages, and I love the information you put out there. Thanks for all you do! I love viewing all the link up party links. I hope you keep things just as they are. Thanks for all your hard work. I love reading your blog and I also like being my lazy self and having you bring the link parties to me! I enjoy seeing other people’s creativity and I think your link parties have the the best participants. Weekly does seem to be a bit much. Not sure if monthly would not be enough….what about twice a month instead of 4 times a month? Whatever you decide, I will still read your blog! Thanks for all your hard work too! Chiming in late to say, I find the link roundups to be quite enjoyable! I’m not always able to check them out every week (hence my lateness) but I do binge-read when I have time.